Most of the cats will be living together in a free space. 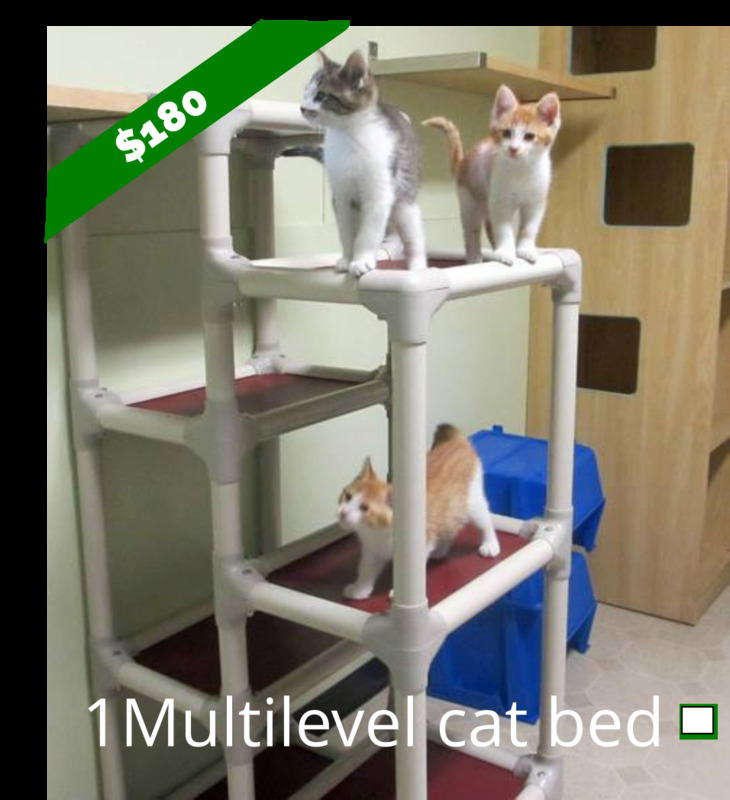 These multilevel durable beds are just what they need for Christmas. With room for 60 cats we'll need a few!